“City Council Scraps Bus Changes in BUDGET PLAN” reads the headline on p.2 of today’s Daily Star! 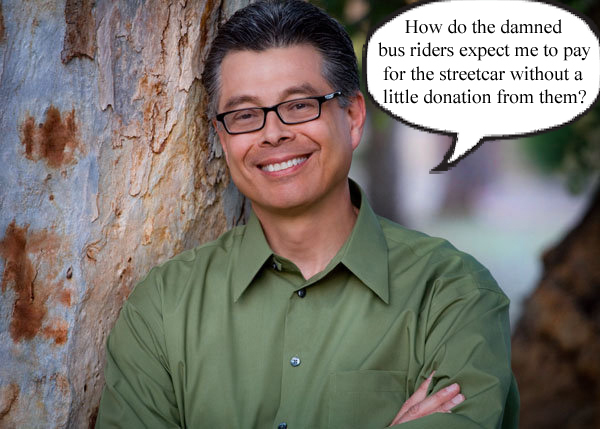 GRACIAS to the 5 votes, (Karin Uhlich, Regina Romero, Paul Cunningham, Richard Fimbres and Shirley Scott) for standing up for transit justice in the face of lying city bureaucrats. Believe it or not, the Star omitted the role of the Tucson Bus Riders Union in stopping this attack on bus riders. The solution to injustice and the exclusion of poor people and working class in public decision making is to ORGANIZE. That is what we have done. Our membership campaign, initiated in January, has produced more than 1,500 new, card-carrying yellow shirt-wearing, members of the BRU! That is how a small slice of transit justice has been achieved this budget cycle. A battle has been won but the war on poor and working people, and in this case bus riders, looms large on the horizon. The time is now to organize bigger and better. The issue of fare increases and service cuts will be back in front of the Council as early as October. VIVA LOS PASAJEROS DEL CAMION! 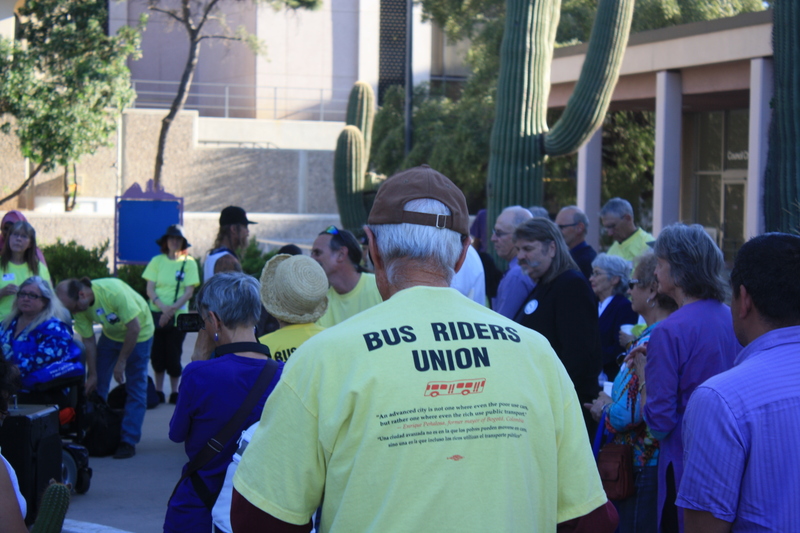 VIVA THE TUCSON BUS RIDERS UNION!